Two new Jazz units added to the range. 2015 was a great year for Unitronics. We introduced products to round out our existing lines: UniStream, Vision, and Samba. We also leveraged the UniStream platform with powerful new features such as EtherNet/IP communications and a full Alarms system. Now, </drum roll/> please join me—for the Unitronics’ 2015 Roundup! For the fourth year in a row, Unitronics’ products have been honoured by Control Engineering Engineers’ Choice awards. This year, in the category of Hardware – Integrated HMI controllers, the winner was our UniStream 15.6″ HMI panel – big and handsome, with an elegant LED touch-panel offering 1366 x 768 resolution and a 16M (24-bit) colour range. UniStream: our award-winning 15.6″ HMI panel –snap on up to 5 Uni-I/O modules, expand up to 2,048 I/Os, and employ the advanced feature profile to execute highly complex control. We also released 3 Uni-I/O™ modules offering new thermocouple and analogue I/O options. Samba 7″: with its on-board I/Os and a larger, 7” colour touch screen, Samba 7” is proving to be a popular choice for those small machine projects with a critical profit margin. Vision700: this new member of our award-winning Vision “workhorse” series offers a 7” HMI colour touch screen. Supports all Vision Snap-in and expansion I/O modules, and all advanced power features. Nataly Turgeman, Unitronics’ Global Sales and Marketing manager, was interviewed by PCN (Processing & Control News Europe) regarding the company, our products, and customer care philosophy. UniLogic was reviewed twice in IEN Europe. We are proud to continue to bring you Unitronics true All-in-One value: our complete range of automation products and software from the pioneers of the PLC + HMI controller, backed by Unitronics unparalleled sales and tech support. Enjoy them in the coming year! All the advantages of Unitronics’ Vision™ PLC+HMI series now with 7″ touchscreen (widescreen), built in Ethernet and rich I/O configuration options. 23% bigger screen than V570, same great price. All in one low cost unit! 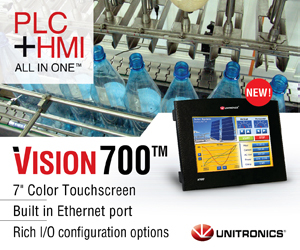 The Vision all-in-one PLC series now has the the Vision700. The V700 has an integrated wide 7in touchscreen (800 x 480) and was developed to answer the wide screen market trend. 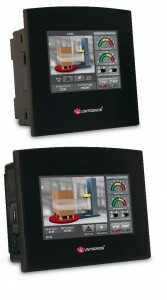 V700-T20BJ is a powerful PLC + HMI that comprises a beautiful 7″ built-in color touchscreen. The V700 belongs to the same Vision division as the V1210, V1040, and V570, and supports the same Snap-in I/O and I/O Expansion modules, as well as all of the same high-level functionality. In addition, this controller comprises a built-in Ethernet port that supports 8 sockets, a USB programming port and a RS232/485 port. 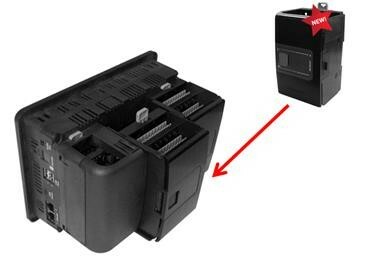 You can also order and install two additional COM ports, both a CANbus port and an additional serial port which may be RS232/485 or a Profibus port. Note that your V700 Ethernet applications will not use the standard Ethernet system operands. Check the Help topic Vision700 – Using Ethernet to learn more (or give us a call). VisiLogic version 9.7.74 and up includes firmware, OS 4.1.15 and Boot 2.2.41 and later. This firmware nearly doubles the memory capacity of Samba models SM43 and SM70. Beginning from VisiLogic version 9.7.74, when you download an application to a SM43 or SM707 that is running firmware previous to OS 4.1.15 and Boot 2.2.41, VisiLogic will request that you update the firmware. This will delete the application in the controller. This firmware upgrade includes both Boot and OS. Boot files can only be downloaded via a serial connection. If you use UniDownload Designer, make sure that you includeOS 4.1.15 and Boot 2.2.41 or later along with the project files. In addition, note that any Downloader files that contain a Boot file can only be downloaded via serial connection. Improved, elegant alpha-numeric and numeric virtual keyboards are supported by the OS released with this version of VisiLogic. Beginning from VisiLogic version 9.7.74, when you download an application to a SM43 or V430 that is running an OS previous to OS 4.1.15, VisiLogic will request that you update the firmware. After the OS is updated, and you download an application from VisiLogic 9.7.74 and up, the controllers will display the new keyboards. Vision and Samba controllers now support the Cinterion EHS6T 3G modem. Note that the modem must be running firmware version 03.001. Please note that as of this version, the function block PLC DataCom is no longer supported. This major release increases your control power with new hardware, plus a number of software features that greatly broaden the range of your potential applications. 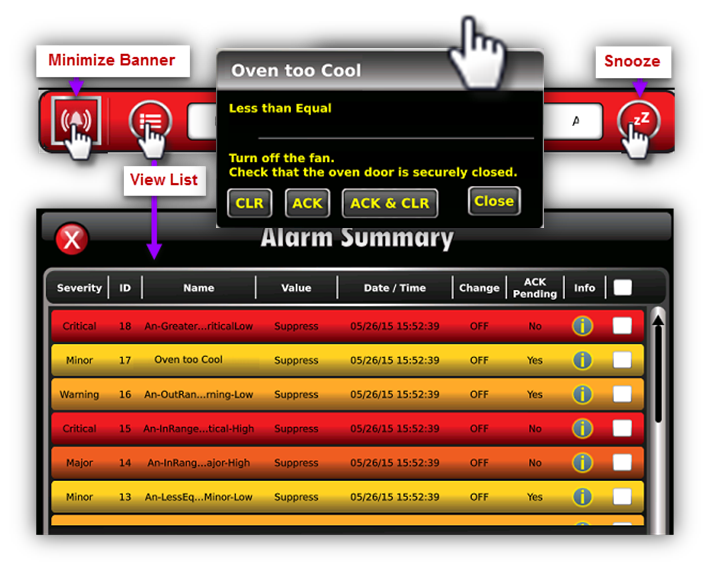 In addition to new and expanded features in Alarms, expanded Web Server function such as file download, Password protection, new SD card – USB Stick file operations executed via Ladder function or SD Browser widget and more, UniLogic now brings you the ability to write C functions (beta). Once written, you use C functions just as you do Ladder functions. The new version also brings you faster project compilation and download-and the UniStream’s start-up time has been reduced by 20-25%. 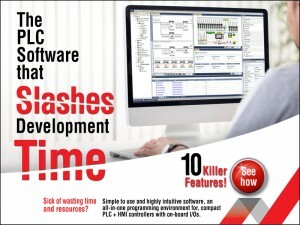 Ofir Levi, the Technical Support manager at Unitronics hosted a fascinating webinar on Unilogic™ PLC software -the Software that Slashes Development Time – 10 Killer Features in 20 minutes!! During the webinar Ofir showed the benefits of UniLogic™— how to raise your profit margin by saving your most precious resource – Time. 10 Killer Features in 20 minutes! 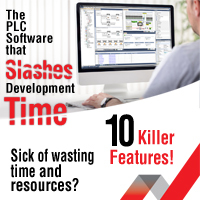 Ofir Levi, the Technical Support manager at Unitronics would like to invite you to participate in a fascinating webinar on Unilogic™ PLC software – the Software that Slashes Development Time – 10 Killer Features in 20 minutes!! During the webinar we will show you the benefits of UniLogic™— how to raise your profit margin by saving your most precious resource – Time. The webinar is open for all participants, for no charge. 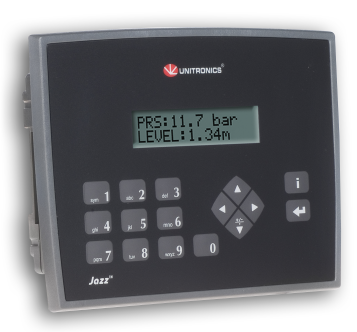 With its latest version of Unilogic 1.14.33, Unitronics have once again focused on value for money with an intuitive alarm management system built in. In addition, we are inducing a new Unistream Data Converters utilities suite.